A company called Essential Oxygen, has a Pristine Protocol 3-Step Oral Care System. These three products help contribute to your oral health, thus making your smile more radiant and you overall healthier. The best part is it’s organic! That’s right, BPA free, Vegan, Gluten Free, Biodegradable, Fluoride Free, Paraben Free and SLS Free. This woman-owned company has created a line of products with your health as top priority. They are dedicated to using truly effective and clean natural products. 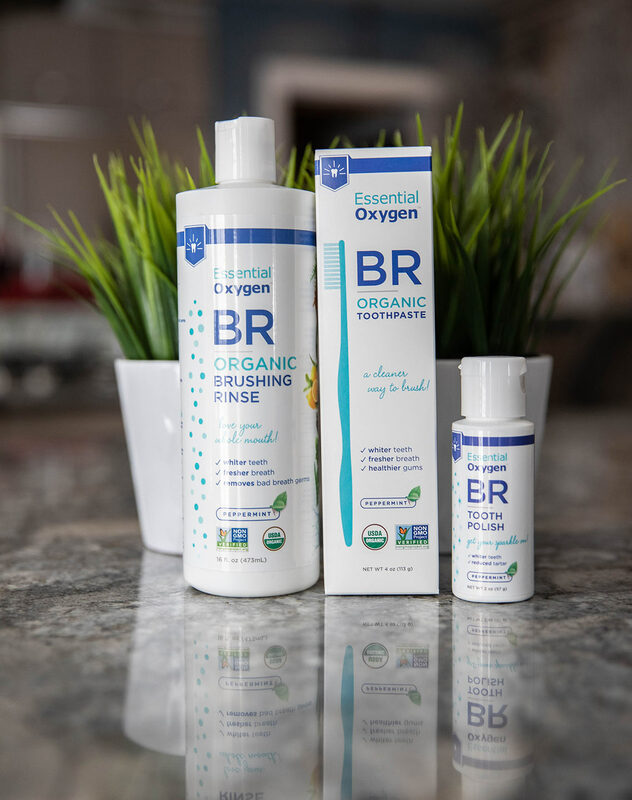 All Essential Oxygen products are toxin-free so you can rest easy knowing that you are cleaning your teeth with all-natural ingredients. Their products never contain chemicals like bleach, glycerin, heavy metals and alcohol, all of which are found in a plethora of our everyday products. The First Step of the Pristine Protocol is the Organic Brushing Rinse. Using the power of essential oils and hydrogen peroxide, this mouthwash serves as a pre rinse. Our saliva doesn’t circulate when our bodies are at rest at night, thus leaving your mouth in a toxic and quite unpleasantly scented state. When you wake with a mouth of bad breath (aka oral bacteria), it’s best to use the Organic Brushing Rinse, rather than swallow this bacteria. Take a gulp of the rinse; swish within your mouth for 60 seconds and spit. You’re left with fresher breath, whiter teeth and an overall cleaner feeling mouth. Once you’ve finished with the rinse, move on to Step Two of The Pristine Protocol, BR Organic Toothpaste. This toothpaste is amazing because it’s non-abrasive. It’s certified organic and has no objectionable ingredients like carrageenan, glycerin, sodium laurel sulfate, sugar or fluoride. Your mouth will thank you and so will your enamel. Lastly, the Third and Final Step in The Pristine Protocol system is the BR Tooth Polish. Made with organic essential oils and calcium phosphate, this minty powder works wonders! Your teeth will sparkle and shine all while preserving your enamel! Your mouth has the just-left-the-dentist feeling when the 3-Step Oral System is complete. 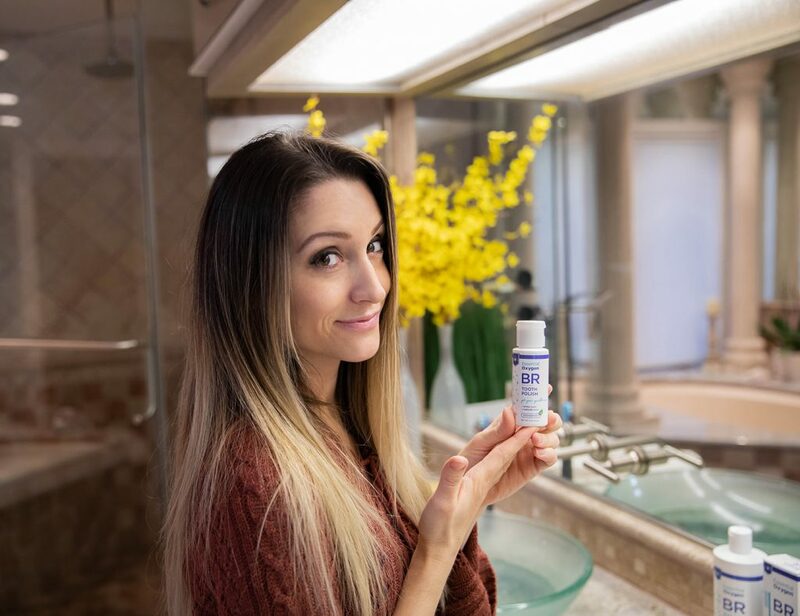 Essential Oxygen products whiten teeth, freshen breath, kill bad breath germs and give you the confidence to brighten the world with a beautiful smile. All Essential Oxygen products are toxin-free so you can rest easy knowing that you are cleaning your teeth with all-natural ingredients. This Pristine Protocol 3-Step Oral Care System is amazing! I am thoroughly impressed with the way my mouth feels after using these products. After just a few days, I noticed the backside of my teeth did not have that gritty built-up plaque feeling. For someone who flosses and brushes twice a day, adding the pre-rinse and polish has really made a huge difference. 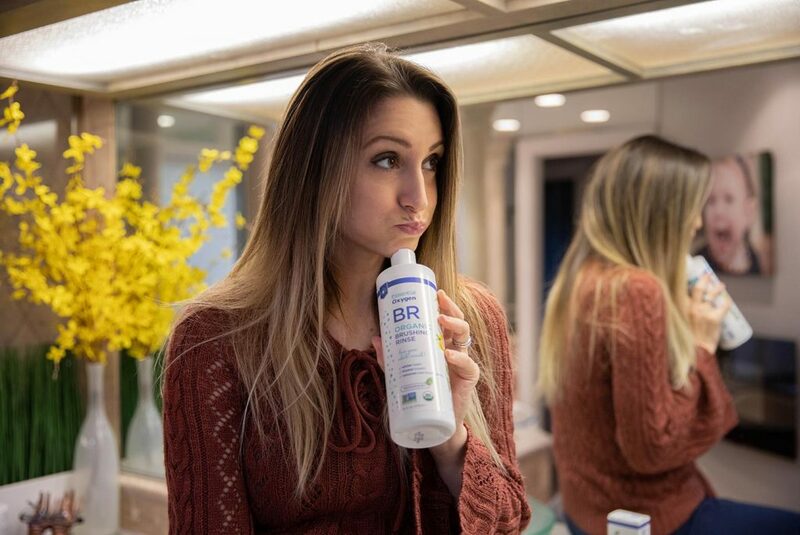 The BR Organic Brushing Rinse helps to wash away all that overnight grime and funk, prior to brushing. 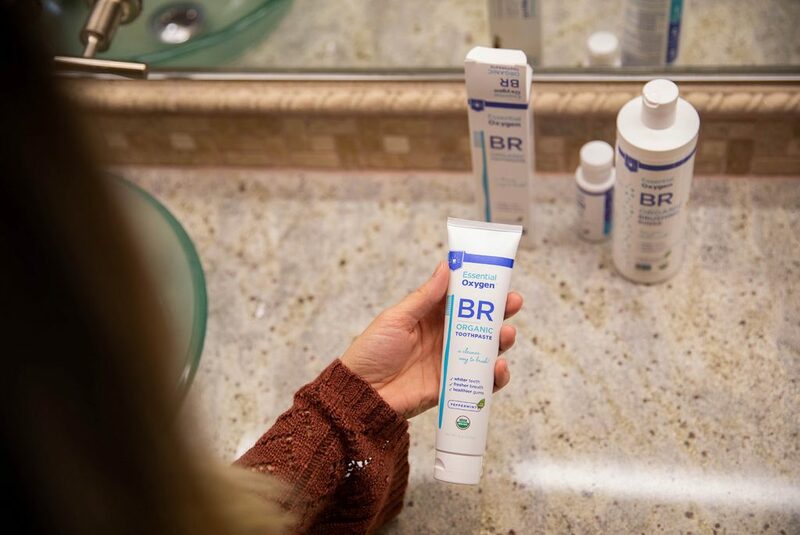 The BR Organic Toothpaste is minty and fresh! I was surprised to find the BR On-Demand Tooth Polish to be a powder. Since it was a new step to my oral routine, I thought it was a little different to get used to a powder form as opposed to a paste. The polish does its job though – making my teeth smooth and shiny! You won’t be disappointed with these products! I love the fact that they contain only organic ingredients, safe for the whole family! Do you use a Mouthwash regularly? Disclaimer: I was given the products in this post for the purpose of a review. I was not paid in any way to write this review. All photos are copyright to either MommaReview.com or the Essential Oxygen brand. All opinions are my own.